It rolled out on April Fool’s day, but it certainly wasn’t a joke! While I was sleeping it seems my phone service provider, T-Mobile, released Samsung’s ‘Pie’ software operating system, and guess what gingers?! Our redhead emoji has arrived! Well, two at least. When I navigated to my emoji keyboard, I assumed I was going to be able to customise any person emoji (chef, policewoman, etc) to have red hair, since even before this update I could change hair color to a variety of shades except red. 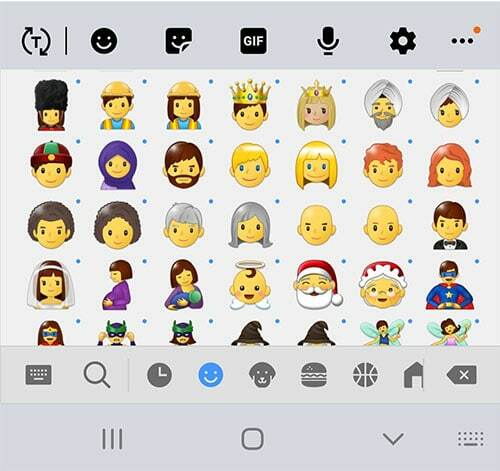 Alas, it seems with this update I only have the choice between a ginger boy and girl emoji! Much like the Apple versions, but don’t worry – this could be changing! While this is still a big day after so long (how many yeeeears since our petition?! FOUR! ), I am still a little miffed that I will only have two options of ginger emoji. If you’ll remember from my previous article, our friends over at Emojipedia predicted that Samsung would be the last of the smartphone providers to update to include redhead emojis. Emojipedia suggested it would be January–February 2019 so they weren’t too far off. Fellow gingers, did you get the new Samsung software update? How long have you had ginger emojis? Can you change hair colour on different emojis?